Did yo recently update your smartphone to CyanogenMod 14 and now you wan to learn how to root CyanogenMod 14 without pc?Today through this guide/post we will tell you how to root CyanogenMod 14 without pc.So lets root Nougat rom CyanogenMod 14 withotu pc. Rooting is a process by which a smartphone user can get privilege access to your smartphone.Rooting overcome some of the barrier and after rooting you get full access to smartphone.After rooting your smartphone you can install custom rom and many more features you can use. 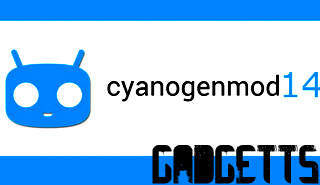 Before we go further and root CyanogenMod 14 without pc lets get to know about what is CyanogenMod 14. You have to follow the steps given below to root your CyanogenMod 14 without pc. Charge your smartphone to 100%. Now go to Setting>About Phone and click on Build Number for seven time and you will get a notification that "You are a developer now"
So this was our guide on how to enable root access on CyanogenMod 14.We hope you liked our post on how to root CyanogenMod 14 without pc.